Please join me for the opening reception of the George Billis Gallery NYC's annual Summer Show on Thursday July 12th 6-8pm. 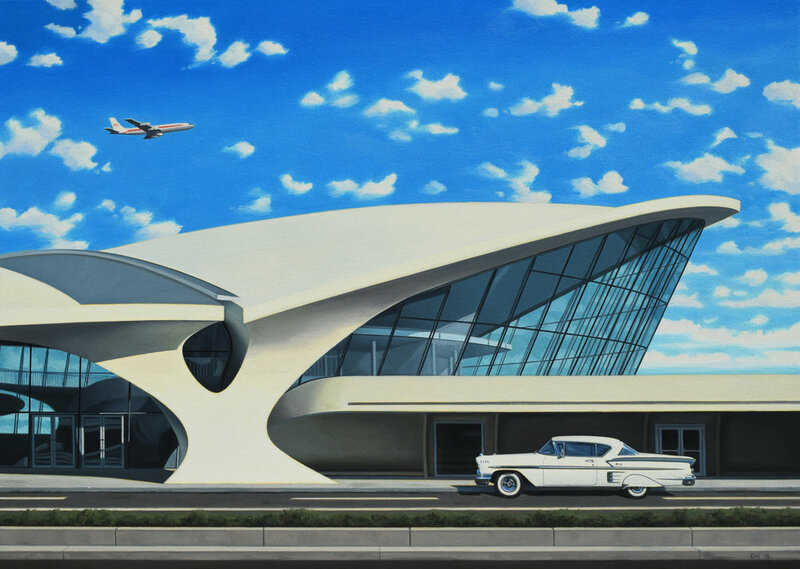 I'll be showing a brand new piece - "TWA Terminal and Impala," oil on canvas, 20x28" - that you have to see in person. In addition, there will be stunning works from the gallery's many talented artists, with most of the works having an East Coast vibe. The show is up through August 4th, so be sure to catch it while you're in town!